Originally designed as a health aid for diabetics or any circulation problems these non-elasticated socks have become not only our best selling sock but probably the best selling item in the whole shop. Many admit they thought a sock was just a sock untill they tried these. 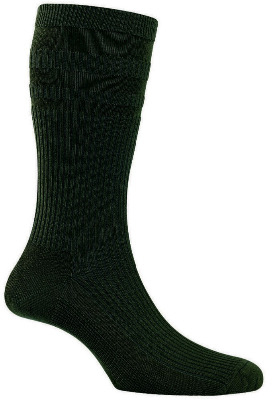 Designed to compress vertically to give a gentle grip over a larger area instead of tightly just around the top like standard socks these help circulation, prevent tired legs and don't cause that unsightly ridge around your leg when you remove them.